Carsten Nicolai, labor e, 1997, steel, rubber, wave-form generators, mixing board, dat recorder. Via the artist's website. Collaboration in the visual arts today is not without its contested legacy. Some writers have characterized its manifestations among younger contemporary artists as a kind of collective self-branding, a retrofitting of collaboration's politically left or utilitarian origins (in the United States, certainly) to a sort of modish rock and roll production model. Others meanwhile have described artistic collaboration in the more polyvalent terms of a dispelling of the authorial heteronomy often resulting in an art system which calls for individual artist brands and highly deliberate career arcs. Curators, like artists, frequently collaborate on their own terms. The pracitice has been by now normalized in some very high profile and important international exhibitions. There, divisions of labor, curatorial "sub-contracting," and topical specialization have become the norm. So while artists and curators thus often work together to realize projects both ambitious and everyday, the art critic, meanwhile, remains strangely alienated from this otherwise socially promiscuous milieu. The critical voice has of course historically been distilled and distributed in publishing as the a collective editorial voice, and yet new models of collaboration remain to be found. An event tonight at the National Academy Museum seems likely to formally speak to this issue. There, at 6:45, David Cohen will assemble the thirty first manifestation of his Review Panel series, inviting four young writers to comment on the New Museum's recently inaugurated generational triennial currently there on view. Tomorrow meanwhile at Goethe's Institute's Wyoming Buidling, sound artist Carsten Nicolai will perform at 6pm, concluding the Institute's Reinventing Goethe project, a kind of collaborative and exposed reimagining of the event's host building. 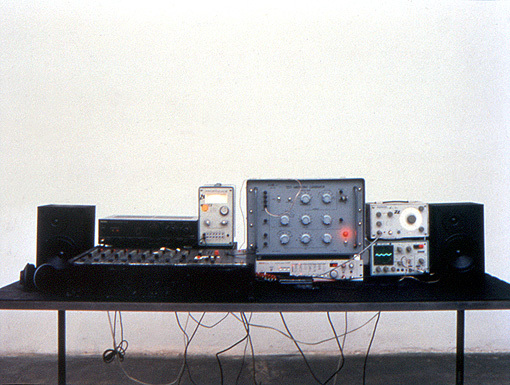 Of Nicolai's splintered affiliations one of the more noted is his co-founding of German electronic music label Raster Noton, which is next week opening a temporary botique at e-flux's New York location, the second in a series of exhibitions at the space.